Gustavus values gathering and connecting with Gusties old and new and all who have given of their time, talent, and resources to the College. It is in this spirit that we describe the ways in which the College and alumni interact with one another. The building of relationships is a critical part of what it means to be a Gustie. From the first day on the Hill to a 60th Class Reunion, Gustavus is an integral part of maintaining relationships for alumni and friends of the College. 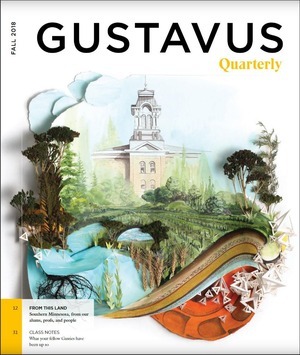 Gustavus offers a variety of ways for alumni and friends of the College to gather together. A connection to Gustavus and the resources offered by the College and College Alumni is a critical part of navigating the world after time on the Hill. Gustavus is committed to connecting graduates old and new so that they may fully utilize the College and the resources it offers. 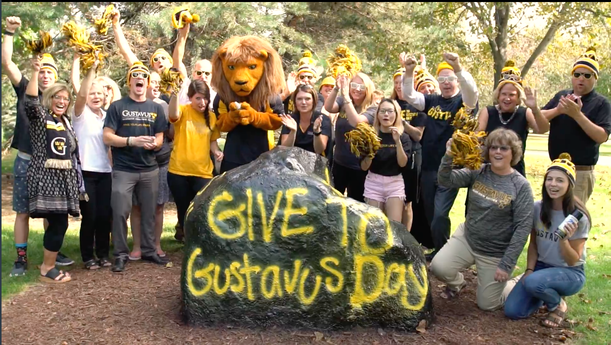 The gift of a Gustavus experience is made possible through the time, talents, and resources of the Gustavus community. Financial gifts ensure student access to the finest faculty and opportunities the College can provide. Through mentoring and direct service students see first hand what it means to live a life of service after time on the Hill. Register here. Gather with President Rebecca Bergman and other New England Gusties to hear updates and information from the College. We'll be meeting at the CORE: club in New York City from 6 - 8 p.m. We look forward to seeing you there. There are currently no scheduled upcoming events for this section. Please check back later. The Gustavus Men's Baseball team plays at Carleton on April 20th. The Gustavus softball team plays a double header against Bethel on April 20 in St. Paul. The Gustavus women's tennis team plays at Carleton on April 20. The Gustavus Jazz Combos perform an informal concert in the Linnaeus Arboretum as part of Jazz Appreciation Month. This performance is free and open to the public. The Department of Music presents the Gustavus Symphony Orchestra in concert featuring the 2019 concerto contest winners. This performance is free and open to the public. This event will be livestreamed. The Department of Music presents Charlie Barnhouse, alto saxophone/composition, for his student recital. The performance will take place in Bjorling Recital Hall. This event is free and open to the public. The Department of Music presents Andrew Peterson, tenor, for his student recital. The performance will take place in Bjorling Recital Hall. This event is free and open to the public. Learn more about what's happening with Gustie Alumns on the Alumni Blog or, share what's new with you.